The Wellness Potion Pilates studio is a home-based studio located in Bayfield, Ontario. 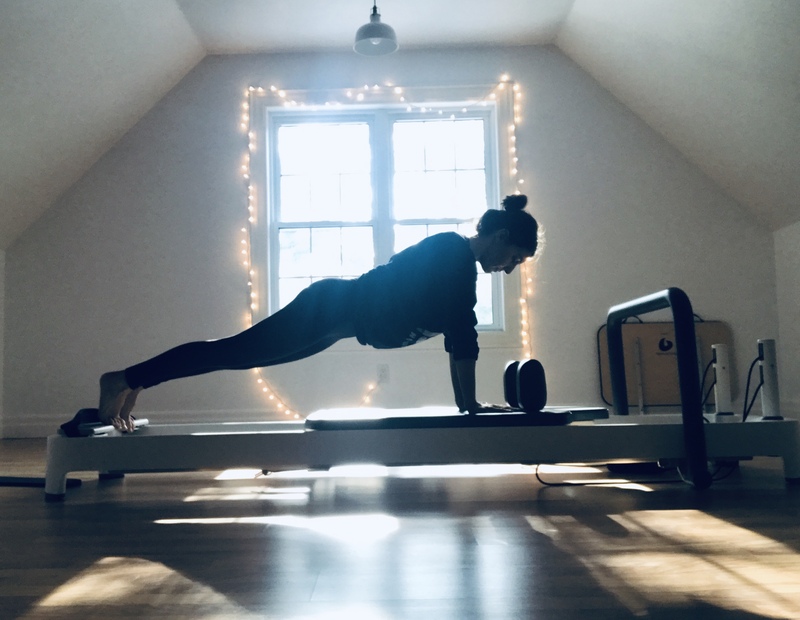 With a focus on private client and small group sessions that call upon the classical dynamic movements of Pilates that instruct breath, balance, control, centering along with relaxation for a sleeker, stronger, more graceful body that allows you to improve posture, decrease stress while enhancing overall health and wellness. My method will leave you feeling amazing in your body and provide the space to live a more present life. I completed my mat Pilates certification through East to West Yoga and Pilates in 2011, and I am currently immersed in the Balanced Body University Reformer Instructor Training program. I offer private and small group client sessions that are customizable to your specific needs and goals. Pilates is perfect for those looking to lengthen, strengthen, enhance flexibility and coordination. Contact me for information on session pricing and availability.